The present study was attempted to determine organoleptically acceptable concentration of betel leaf essential oil (BLEO) in raw apple juice using fuzzy logic approach, and to evaluate the eﬃcacy of the acceptable concentration in the juice under refrigerated storage. The presence of BLEO components in treated juice was conﬁrmed by FTIR spectroscopy. Based on similarity values, the acceptable concentration in the juice was found to be 0.19 µl/ml of BLEO. Total antioxidant capacity of untreated juice was found to be 16% less than treated juice at the end of storage. The treated juice exceeded total aerobic plate count of 2 log10 (cfu/ml) on 15th day of storage. Based on safe limits of microbial load, the shelf life of treated juice was extended by 6 days as compared to untreated juice under refrigerated storage. BLEO contributes to green consumerism and its application as food preservative will add value to the product. E-mail address: [email protected] http://dx.doi.org/10.1016/j.foodchem.2017.08.047 Received 25 May 2017; Received in revised form 11 August 2017; Accepted 15 August 2017 Available online 16 August 2017 0308-8146/ © 2017 Elsevier Ltd. All rights reserved. (Hyldgaard, Mygind, & Meyer, 2012). Therefore, detailed sensory evaluation of any product treated with essential oil forms the basis of its marketability. Sensory evaluation is a scientiﬁc method to decide acceptance and rejection of food by the evaluator upon consumption (Kemp, Hollowood, & Hort, 2009). Fuzzy logic is an important tool which can draw an important conclusion regarding acceptance, rejection, ranking, strong and weak attributes of food using vague and imprecise data in linguistic form ﬁlled in by single or multiple experts (Zimmermann, 1991). Fuzzy sets provide the mathematical method that represents the fuzziness of human expressions (Lazim & Suriani, 2009) using linguistic variables instead of numerical values (Zadeh & Kacprzyk, 1999). Comparison and choice is fundamental to consumers (Imm, Lee, & Lee, 2011) so is the market risk of any food products. Alongside organoleptic acceptability, the quality of any food products over storage period is determined by their physical and chemical characteristics, microbiological and toxicological safety, and sensory attributes, packaging and labelling (Molnár, 1995). From industrial point of view, consumer acceptability of BLEO treated unpasteurized apple juice and its potency in shelf life extension of the selected food product should be studied. In view of the above research gap, this study was taken up to conduct sensory analysis of raw apple juice treated with betel leaf essential oil using fuzzy logic followed by evaluation of antimicrobial eﬃcacy of organoleptically acceptable concentration of BLEO in the unpasteurized juice during refrigerated storage at 4 °C. BLEO was extracted from fresh betel leaves of cv. Tamluk Mitha (Guha, 2007), and the essential oil based microemulsion (BLEO-ME) using Tween 20 (SRL Chem., India) as emulsiﬁer and water as the continuous phase was formulated according to Basak and Guha (2017a). Similarly, triplets for all quality attributes, viz. colour (QC), ﬂavour (QF), taste (QT) and mouthfeel (QM) of RAJ in general were calculated according to Eq. (2). 2.2. Preparation of raw apple juice Apples (cv. Red delicious) at commercial maturity were purchased and surface sterilization of the apples was performed according to Buchanan, Edelson, Miller, and Sapers (1999). Brieﬂy, apples were dipped in 2 μl/ml sodium hypochlorite for 1 min, followed by rinsing them in autoclaved distilled water for another 1 min. Each apple was cut and made into pulpy juice using mixer grinder followed by ﬁltration using two layers of muslin cloth to obtain raw apple juice. Based on the previous study by Basak and Guha (2015), 0.14, 0.19, 0.28, 0.37 and 0.56 μl/ml of BLEO in the juice were selected for sensory evaluation that corresponds to RAJ-S2, RAJ-S3, RAJ-S4, RAJ-S5 and RAJ-S6, respectively. RAJ-S1 was served as untreated sample throughout the evaluation process. A panel of 20 participants was selected and trained to perform the sensory evaluation. Accordingly, relative weightage for all four quality attributes of raw apple juice was calculated. 2.3.1. Sensory evaluation All the selected panellists were trained to familiarize the quality attributes of raw apple juice, sensory score sheets and method of scoring the samples. Quality attributes of sensory analysis were colour, ﬂavour, taste and mouthfeel. The fuzzy scale factors were “Not satisfactory”, “Fair”, “Medium”, “Good” and “Excellent”. According to the explanation provided by Das (2005), ranking of raw apple juice samples were done using triangular fuzzy membership distribution function. Sensory scores of the juice samples obtained using fuzzy scores given by the panellists were converted into triplets and similarity analysis were performed in order to rank the samples. A program was coded in Matlab® 2015a (The Mathworks™; McGarrity, 2008) to perform calculations involved in aforementioned steps. As shown in Fig. S1 (supplementary materials), the distribution pattern of 5-point sensory scales comprises “Not satisfactory/Not at all important, (0, 0, 25)”, “Fair/Somewhat important, (25, 25, 25)”, “Medium/Important, (50, 25, 25)”, “Good/Highly important, (75, 25, 25)” and “Excellent/Extremely important, (100, 25, 0)”. The ﬁrst number in the triplets denote coordinate of the abscissa where the value of the membership function is 1, whereas the second and third number represents distance to left and right of the ﬁrst number where the membership function is zero, respectively (Chakraborty, Das, & Das, 2011). Using the above triplet multiplication rule, overall sensory score for all RAJ samples were calculated. 2.3.6. Standard fuzzy scale and ranking of the samples Standard fuzzy scale following triangular distribution pattern of 6point sensory scale is shown in Fig. S2 (supplementary material). The linguistic expression of the standard fuzzy scale and values of membership functions for F1–F6 are mentioned in Table S3 (supplementary material). The value of membership function Bx at x = 0, 10, 20, 30, 40, 50, 60, 70, 80, 90 and 100 for every samples were determined. where x = (a + 1.75L)/(5.645L + a −3.012b ) Since, initial colour of raw apple juice was not monitored while extraction, a normalized browning index (ΔBI) was calculated as the diﬀerence between initial BI and the BI at a given time during storage for untreated and treated juice samples. 2.5.2. pH and total soluble solids The pH value of the juice was measured using the pH meter (Toshcon Industries Pvt. Ltd., Ajmer, India). Hand held refractometer (Erma, Tokyo, Japan) was used to measure total soluble solids (TSS) of the juice. 2.5.3. Total antioxidant capacity Total antioxidant capacity (TAOC) of the juice samples were measured according to Arabshahi-Delouee and Urooj (2007). Brieﬂy, 2.5 g of RAJ was mixed with methanol in ratio 1:8 (v/v) and incubated for at least 18 h at 4 °C. After incubation, 100 μl of sample was mixed with 1 ml of reagent solution (0.6 M sulphuric acid, 28 mM sodium phosphate, and 4 mM ammonium molybdate). The tubes were capped and incubated at 95 °C for 90 min. Samples were cooled at room temperature and absorbance was measured at 695 nm. TAOC of the samples were expressed as equivalents of α-tocopherol (extinction coeﬃcient, ∊ = 4 × 103 M−1 cm−1). 2.5.4. Microbial counts Microbial count in raw apple juice were enumerated by ten-fold dilution of juice samples in phosphate buﬀer (pH 7.4) and plated out in duplicate on plate count agar (PCA; HiMedia, India) for bacteria and potato dextrose agar (PDA; HiMedia, India) acidiﬁed with 10% tartaric acid for yeasts and moulds (Müller, Noack, Greiner, Stahl, & Posten, 2014) growth. As suggested by Sant’Ana et al., 2010, the polyethylene terephthalate (PET) bottles and caps were washed and sanitized in a 0.05% and 0.01% (v/v) of peracetic acid solution for 30 min, respectively followed by rinsing with 70% ethanol and dried under laminar air ﬂow chamber. Raw apple juice was freshly prepared as mentioned earlier in Section 2.2. To every sterile PET bottle, 100 ml of RAJ treated with organoleptically acceptable concentration of BLEO was aseptically transferred. Untreated RAJ samples were used as control sets alongside treated juice samples during entire storage study under refrigerated (4 °C) conditions. PET bottles (untreated and treated) were randomly picked up for microbial enumeration, determination of L, a∗ and b∗ values, pH, total soluble solids (TSS) and total antioxidant capacity (TAOC) at every 3 days interval during storage. Table 1 Similarity values for raw apple juice under diﬀerent scale factors. Table 2 Similarity values of individual quality attribute of raw apple juice samples. Bold values represents the maximum similarity value. Fig. 1. FTIR spectra of (a) BLEO, (b) microemulsiﬁed BLEO (50 μl/ ml), (c) BLEO treated raw apple juice (0.19 μl/ml), and (d) untreated raw apple juice. peak of H bonded eOH stretch shifted to 3419–3417 cm−1 and peak at 3076 and 2954 cm−1 of vinylidene eCH stretch and methyl eCH asymmetric stretch was found to be missing in BLEO-ME. Also, peak at 2929 and 2864 for methylene eCH asymmetric and symmetric stretch were shifted to 2925 and 2880 cm−1, respectively. An additional peak at 2104 cm−1 was observed in BLEO-ME that could possibly represent terminal alkyne groups present. FTIR spectra of treated and untreated raw apple juice (Fig. 1(c) and (d), respectively) shared every characteristic peaks except an additional peak at 1344 cm−1 that suggested the presence of primary or secondary or phenol or tertiary alcohol (OeH in-plane bend or eOH bend) in juice treated with BLEO-ME. Presence of the functional group in treated raw apple juice could be due to reduced ingredient interaction of apple juice and essential oil components of BLEO-ME that probably helped it retain its bioactivity mostly unaltered. Previous report by Basak and Guha (2017b) suggested no signiﬁcant alteration in antifungal potential of microemulsiﬁed BLEO on growth of P. expansum in raw apple juice with respect to in vitro growth medium. Ma, Davidson, and Zhong (2016) have also reported to have similar antifungal potential of free and microemulsiﬁed cinnamon bark essential oil against Salmonella enterica and Escherichia coli O157:H7. 3.4. Storage study 3.4.1. Colour Total colour diﬀerence (ΔE∗) of untreated as well as treated juice samples signiﬁcantly (P < 0.0001) increased from 0.42 ± 0.06 and 0.28 ± 0.02 to 1.86 ± 0.09 and 1.35 ± 0.08 during 3 and 15 days after storage, respectively. Similarly, signiﬁcant (P < 0.0001) increase in ΔBI values from 0.67 ± 0.02 and 0.32 ± 0.06 to 3.2 ± 0.11 and 2.1 ± 0.11 was observed during 3 and 15 days after storage of untreated and treated juice samples, respectively. The increase in browning can be due to oxidation of naturally occurring phenolic components in apple by polyphenol oxidase that remained active because the juice was not exposed to any thermal treatment prior to storage (Ndiaye, Xu, & Wang, 2009). Perhaps, presence of polyphenols in BLEO might have provided an added beneﬁt to the treated juice to have lower ΔE∗ and ΔBI values as compared to untreated juice, which has only indigenous phenolic compounds of apple (Tomás-Barberán & Espín, 2001). Other reason for increase in ΔBI value can be direct photo-oxidation of phenolic compounds present in both untreated and treated juice samples (Manzocco, Quarta, & Dri, 2009). Variation in ΔE∗ and ΔBI values as given in Table 3, suggested that concentration of BLEO selected in the present study does not have much impact on prevention of browning, but it can slow down the reaction in the treated juice as compared to untreated juice during storage. (500 µM) free radicals was found to be 11.29 µg/ml (unpublished data). The value of TAOC suggested high antioxidant potency of BLEO, which was further elaborated by lower IC50 value of the essential oil. It is evident that terpene, terpenoid and phenolic compounds of essential oil of betel leaf alongside natural antioxidants in the juice might have provided an enhanced electron donating capability to convert reactive free radicals into stable non-reactive products in treated raw apple juice during storage. Values are mean ± S.E. Means represented by the same letter in untreated and treated column of same parameter are not signiﬁcantly diﬀerent according to ANOVA and Tukey’s multiple comparison tests. + DAS: Days after storage. # Values are compared with reference sample (zero day value of untreated sample). ¶ Values are based on diﬀerence between initial browning index and browning index on the observation. 3.4.2. pH and total soluble solids During refrigerated storage of 15 days, no signiﬁcant variation was observed in the pH of untreated (P = 0.338) as well as treated (P = 0.614) raw apple juice samples. TSS of untreated juice decreased signiﬁcantly (P = 0.002). However, the change in TSS of treated juice was not signiﬁcant (P = 0.012) during storage (Table 4). The reduction in TSS of untreated raw apple juice during refrigerated storage can be correlated to the breakdown of polysaccharides into monosaccharide in presence of spoilage microorganisms and utilization of the available monosaccharide by the same for further growth and proliferation in the untreated juice (Bhardwaj & Pandey, 2011). Values are mean ± S.E. Means represented by the same letter in untreated and treated column of same parameter are not signiﬁcantly diﬀerent according to ANOVA and Tukey’s multiple comparison tests. + DAS: Days after storage. Fig. 2. Microbial count (a) TAPC and (b) YM count of untreated and BLEO treated (0.19 μl/ml) unpasteurized raw apple juice during storage at 4 °C. piperita essential oil and mild thermal treatment had minimum alteration in organoleptic properties viz. colour and ﬂavour. On the other hand, present study showed that colour and ﬂavour are in same category for all organoleptically rejected samples (RAJ-S4, RAJ-S5 and RAJS6), but the taste of RAJ-S6 changed from remaining two rejected samples. This study justiﬁed the need of detailed sensory analysis of essential oil treated food products followed by its potential as food preservative during storage along with proper threshold for organoleptically acceptable concentration. 4. Conclusion The present study investigated the impact of BLEO on sensory attributes of raw apple juice, and also its eﬃcacy on the storability of the juice. Fuzzy logic approach using similarity analysis provided an insight into variation in consumer acceptability with respect to colour, ﬂavour, taste and mouthfeel of raw apple juice under the inﬂuence of essential oil of betel leaf. Based on similarity values, the juice treated with 0.19 µl/ml of BLEO was found to have highest organoleptic acceptability among all other BLEO treatments. The organoleptically acceptable sub-lethal concentration of BLEO was eﬀective to extend the shelf life of raw apple juice by 6 days as compared to the untreated raw apple juice samples under refrigerated conditions. Such extension of shelf life was determined on the basis of safe limit of microbial load of the juice. This study suggested the potency of BLEO as raw apple juice preservative. As the sensory barrier restricted luxurious application of BLEO in the juice, the future study on use of BLEO at sub-lethal concentration along with other hurdle techniques is necessary to achieve longer shelf life so as to have economic feasibility at industrial scale. Acknowledgement The author is grateful to Indian Institute of Technology Kharagpur for ﬁnancial assistance, infrastructure and facilities to conduct the research. The author is also thankful to Prof. P. Guha, Agricultural and Food Engineering Department, IIT Kharagpur for his supervision and support. Appendix A. Supplementary data Supplementary data associated with this article can be found, in the online version, at http://dx.doi.org/10.1016/j.foodchem.2017.08.047. References Alfonzo, A., Martorana, A., Guarrasi, V., Barbera, M., Gaglio, R., Santulli, A., et al. (2016). Eﬀect of the lemon essential oils on the safety and sensory quality of salted sardines (Sardina pilchardus Walbaum 1792). Food Control, 73, 1265–1274. Arabshahi-Delouee, S., & Urooj, A. (2007). Antioxidant properties of various solvent extracts of mulberry (Morus indica L.) leaves. Food Chemistry, 102(4), 1233–1240. Basak, S., & Guha, P. (2015). Modelling the eﬀect of essential oil of betel leaf (Piper betle L.) on germination, growth, and apparent lag time of Penicillium expansum on semisynthetic media. International Journal of Food Microbiology, 215, 171–178. Tyagi, A. K., Gottardi, D., Malik, A., & Guerzoni, M. E. (2013). Anti-yeast activity of mentha oil and vapours through in vitro and in vivo (real fruit juices) assays. Food Chemistry, 137(1–4), 108–114. Van der Sluis, A. A., Dekker, M., Skrede, G., & Jongen, W. M. F. (2002). Activity and concentration of polyphenolic antioxidants in apple juice. 1. Eﬀect of existing production methods. Journal of Agricultural and Food Chemistry, 50(25), 7211–7219. Van Der Sluis, A. A., Dekker, M., & Van Boekel, M. A. J. S. (2005). Activity and concentration of polyphenolic antioxidants in apple juice. 3. Stability during storage. 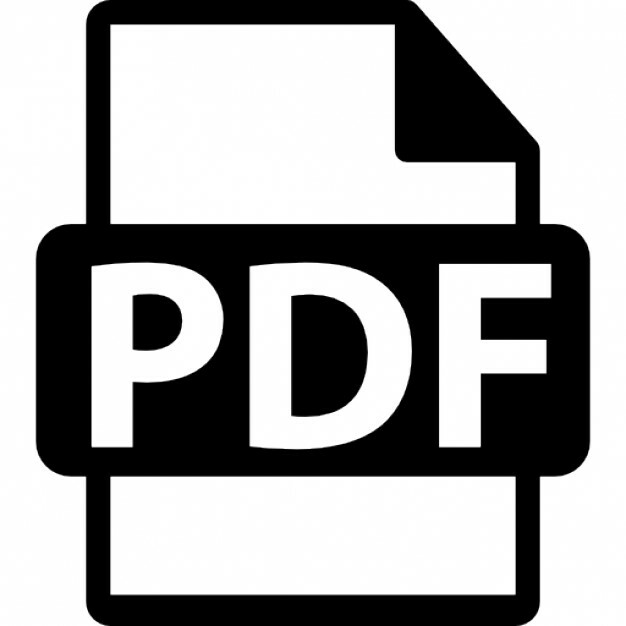 Journal of Agricultural and Food Chemistry, 53(4), 1073–1080. Vasavada, P. C., & Heperkan, D. (2002). Non-thermal alternative processing technologies for the control of spoilage bacteria in fruit juices and fruit-based drinks. Food Safety Magazine, 10-13, 46–47. Zadeh, L. A., & Kacprzyk, J. (1999). Computing with words in information intelligent - part 1: Foundations, part 2: Applications. Heidelberg and New York: Springer-Verlag. Zimmermann, H. J. (1991). Fuzzy set theory and its applications (2nd ed.). Boston, MA: Kluwer Academic Publishers. Pressure Treated Banana Puree. Journal of Food Science, 64(1), 42–45. Parish, M. E. (1997). Public health and nonpasteurized fruit juices. Critical Reviews in Microbiology, 23(2), 109–119. Raso, J., & Barbosa-Cánovas, G. V. (2003). Nonthermal preservation of foods using combined processing techniques. Critical Reviews in Food Science and Nutrition, 43(3), 265–285. Sant’Ana, A. S., Simas, R. C., Almeida, C. A. A., Cabral, E. C., Rauber, R. H., Mallmann, C. A., et al. (2010). Inﬂuence of package, type of apple juice and temperature on the production of patulin by Byssochlamys nivea and Byssochlamys fulva. International Journal of Food Microbiology, 142(1–2), 156–163. Tepe, B., Daferera, D., Sokmen, A., Sokmen, M., & Polissiou, M. (2005). Antimicrobial and antioxidant activities of the essential oil and various extracts of Salvia tomentosa Miller (Lamiaceae). Food Chemistry, 90(3), 333–340. Tomás-Barberán, F. A., & Espín, J. C. (2001). Phenolic compounds and related enzymes as determinants of quality in fruits and vegetables. Journal of the Science of Food and Agriculture, 81(9), 853–876. Report "The use of fuzzy logic to determine the concentration of betel leaf essential oil and its potency as a juice preservative"